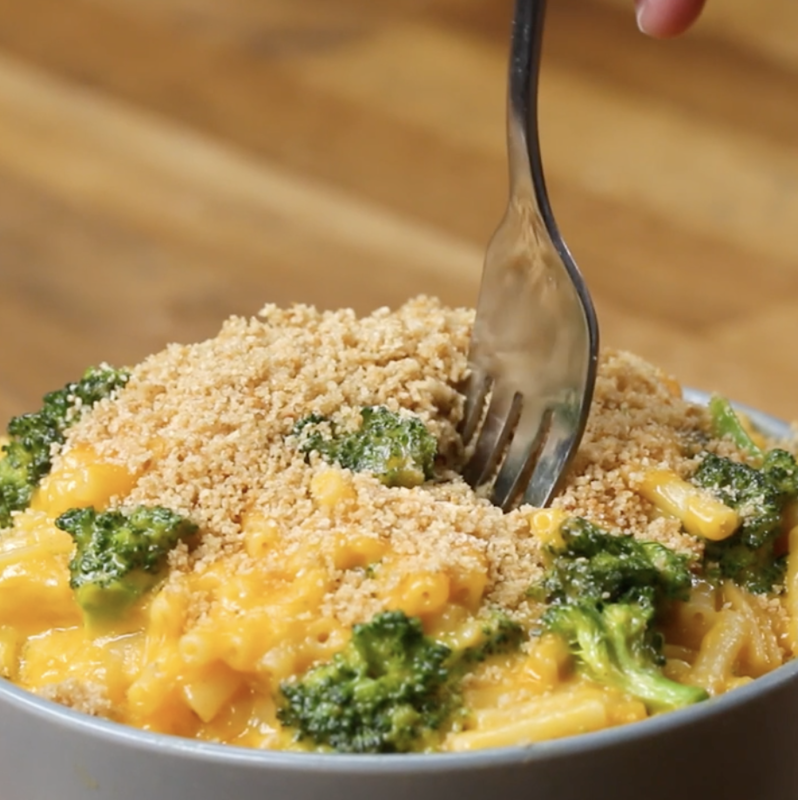 We recently asked the Tasty and BuzzFeed communities to share their go-to dinner ideas that only need five ingredients or less. (Not counting salt, pepper, or olive oil!) Below you'll find their picks — along with several of our own favorites. 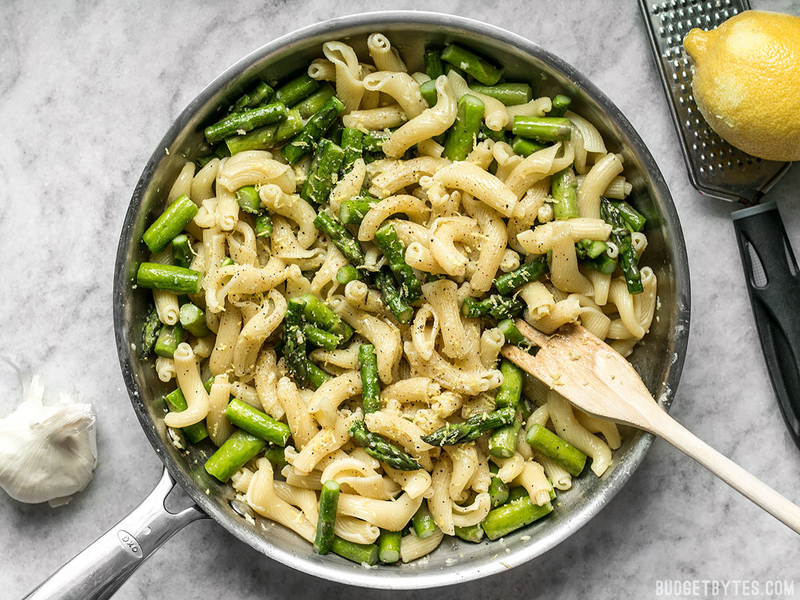 Ingredients: Pasta, butter, lemon, garlic, asparagus. You can never go wrong with pasta — and it doesn't get much easier than this. Here's the recipe. 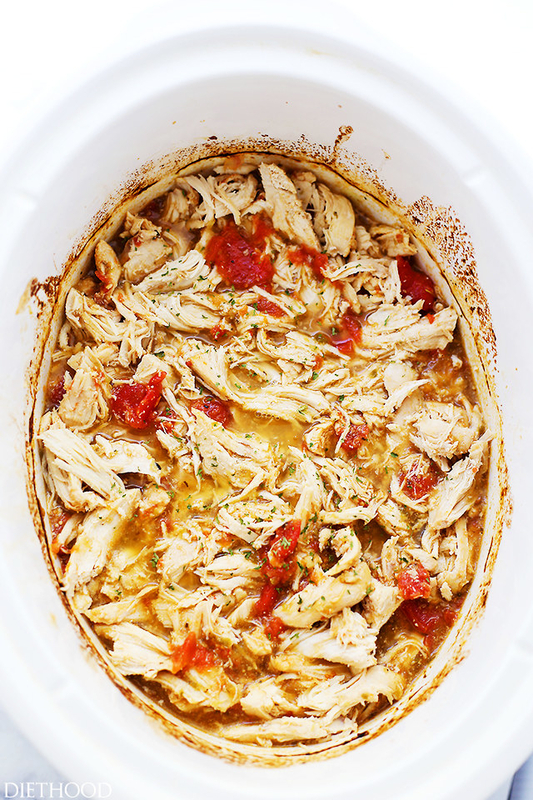 Ingredients: Chicken breasts, canned tomatoes, onion, salsa verde, spices. This is one of those meals that basically makes itself — and it can be served over rice, stuffed into a taco, or on its own. Here's the recipe. Ingredients: Ramen, bacon, egg, green onions. Instant ramen is super versatile if you're looking for a quick dinner base. Spruce it up by adding crispy bacon, a runny egg, and green onions to garnish. Here's the recipe. 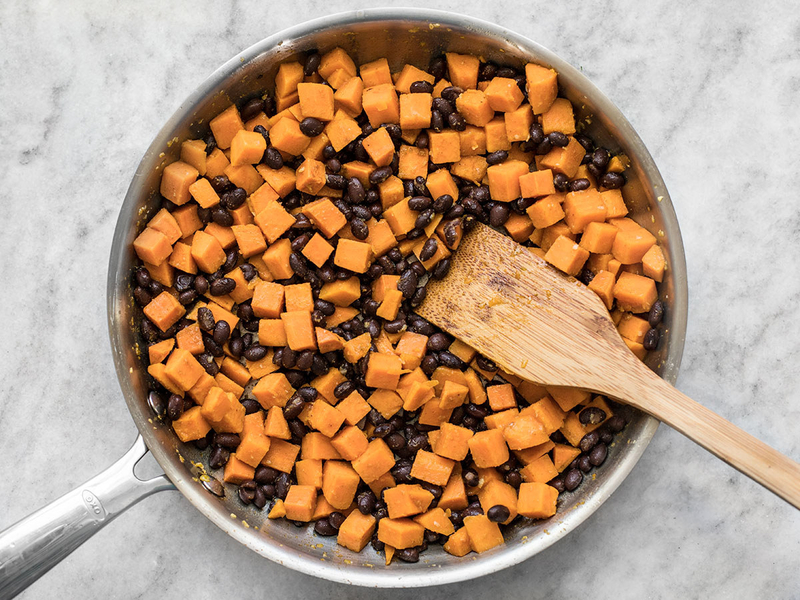 Ingredients: Tortillas, sweet potatoes, black beans, spices, onion. 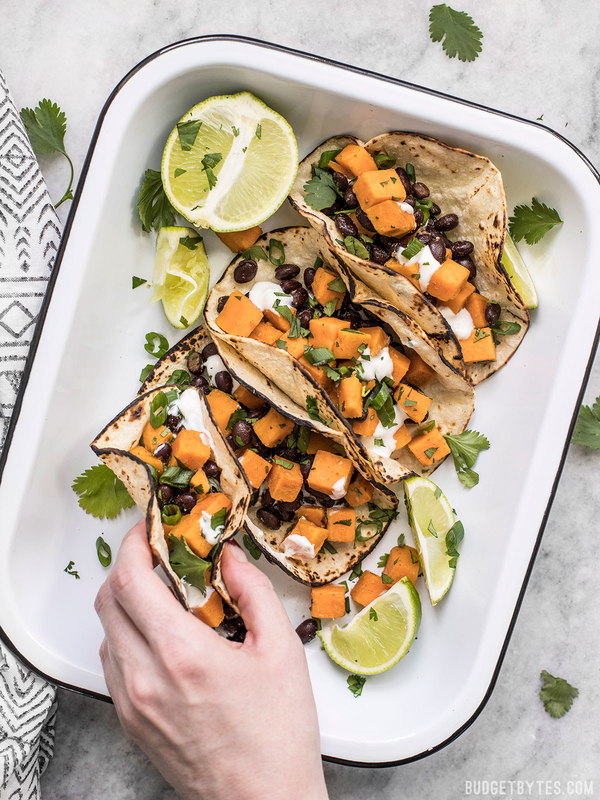 The simple filling is high in protein and fiber — and you can also load up with your favorite extras on top of it, like avocado or sour cream. Here's the recipe. 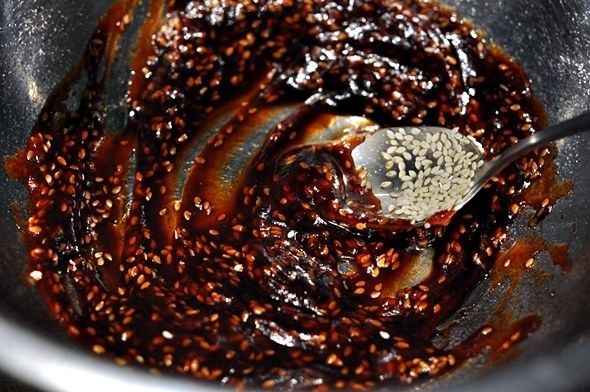 Ingredients: Chicken thighs, soy sauce, tomato paste, sesame seeds, sesame oil. 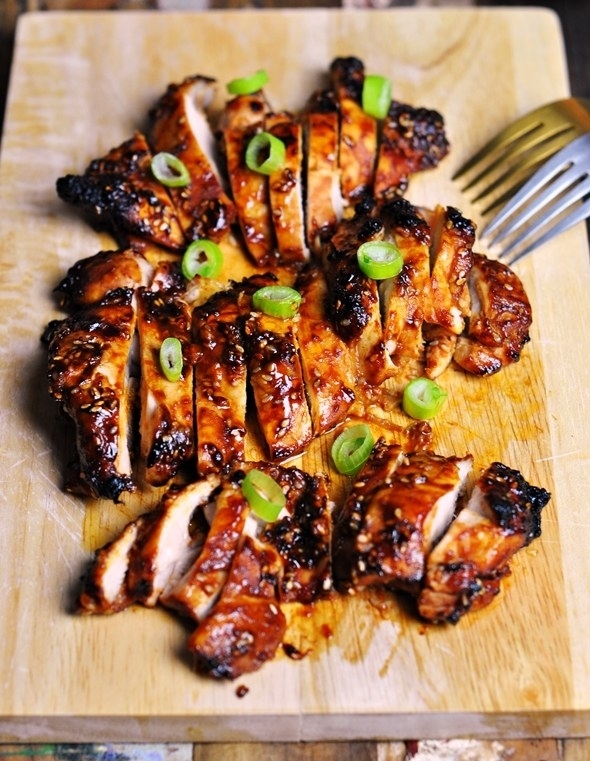 The easy marinade packs a ton of flavor with only a few ingredients, and the chicken fits perfectly into a meal-prep routine. Here's the recipe. Ingredients: Naan, tomato sauce, cheese, any toppings of choice. You can go as simple as tomato sauce + cheese, or upgrade with combos like sausage + peppers, or rotisserie chicken + BBQ sauce. Here's the recipe. 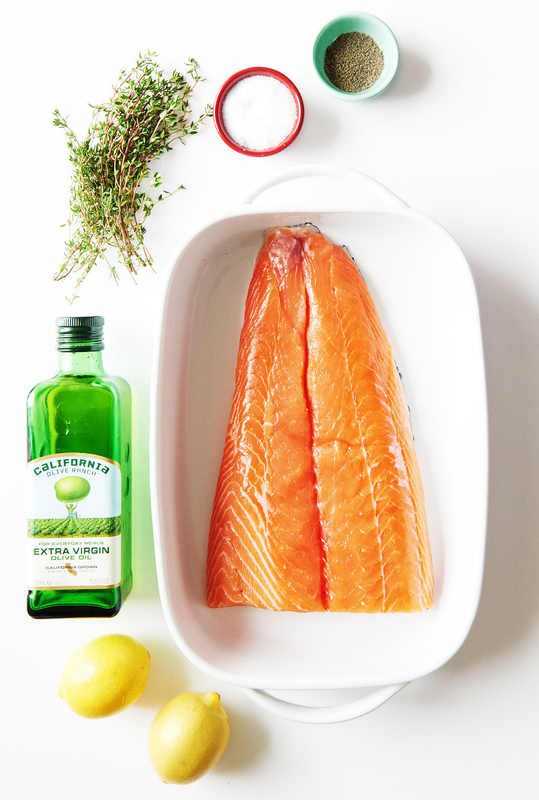 Cooking fish can sometimes be tricky, but this smart olive oil method is completely foolproof. Here's the recipe. 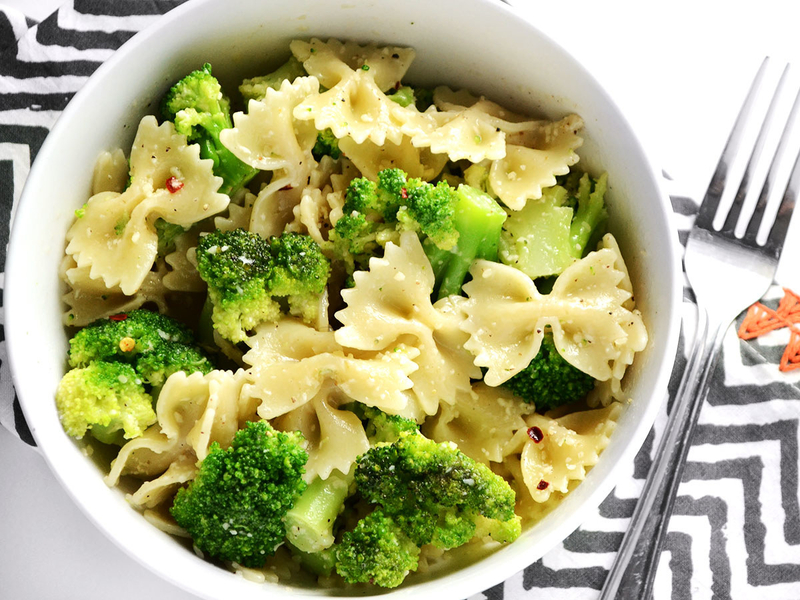 Ingredients: Pasta, broccoli, butter, red pepper flakes, Parmesan. Other veggies would work in place of the broccoli here too — like sautéed spinach or summer squash. Here's the recipe. Ingredients: Sweet potatoes, eggs, cheese. For even faster prep, use a julienne peeler to get the sweet potato base all set. Here's the recipe. 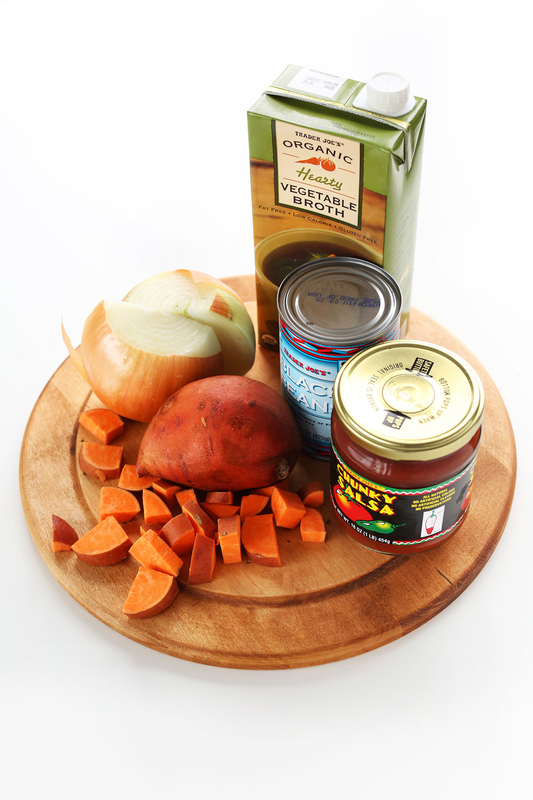 Ingredients: Sweet potatoes, black beans, vegetable stock, onion, salsa. 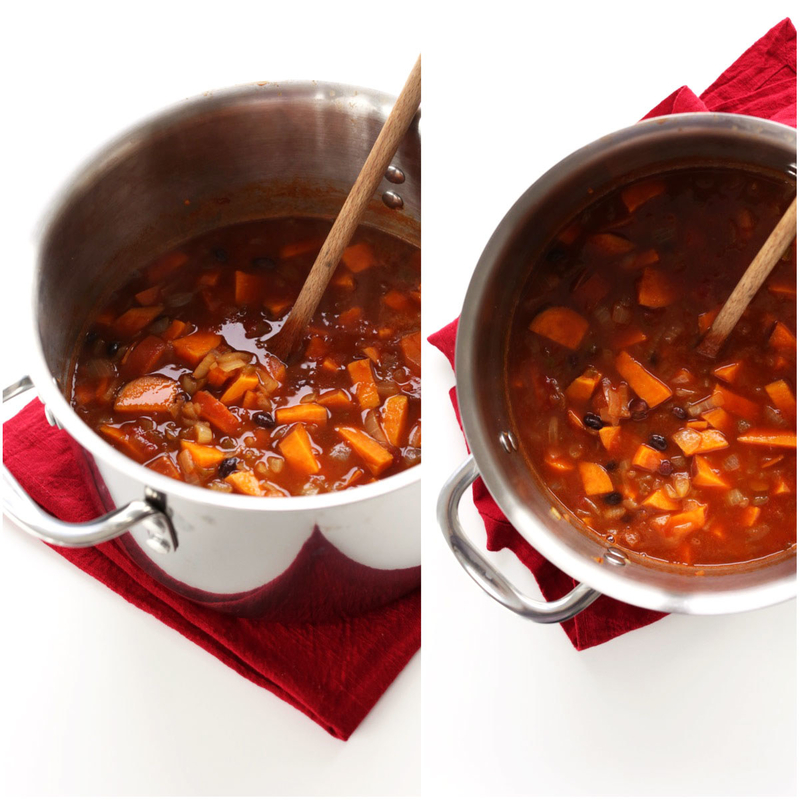 To amp up the flavor even more, toss in whatever spices you might have on hand. Chili powder, chipotle powder, or cumin would all be great. Here's the recipe. Ingredients: Chicken breasts, bell pepper, onion, broccoli, tomatoes. Feel free to mix and match ingredients depending on your taste or what's in your fridge. Don't eat meat? Ditch the chicken. Not a broccoli fan? Toss in zucchini or cauliflower. Here's the recipe. Ingredients: Steak, potatoes, garlic, spices, herbs. Ready in 30 minutes, and cleanup is a breeze. Here's the recipe. Ingredients: Chickpeas, tomato sauce, spinach, red pepper flakes. You could also try this over rice or stuffed into a pita. Here's the recipe. Ingredients: Chicken, broccoli, red pepper, ginger dressing. This version calls for a from-scratch ginger sauce, but you can save time with a premade version as well. Here's the recipe. Ingredients: Bread, lettuce, tomato, mayo, giardiniera. Giardiniera — or pickled veggies in vinegar or oil — can be found in the condiment aisle of any grocery store. Stock up! Here's the recipe. 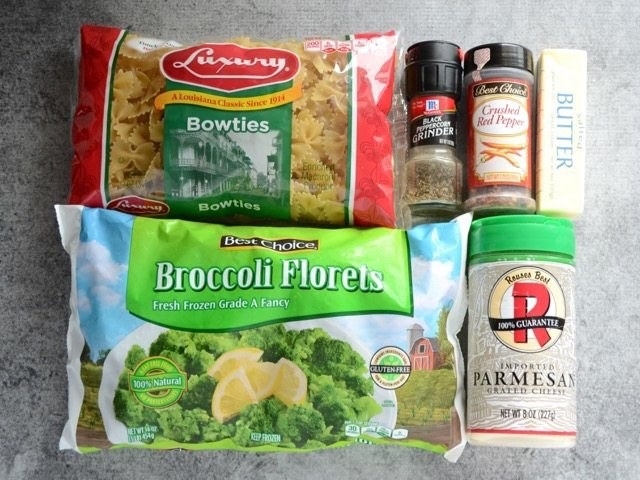 Ingredients: Macaroni noodles, cheese, broccoli, breadcrumbs. 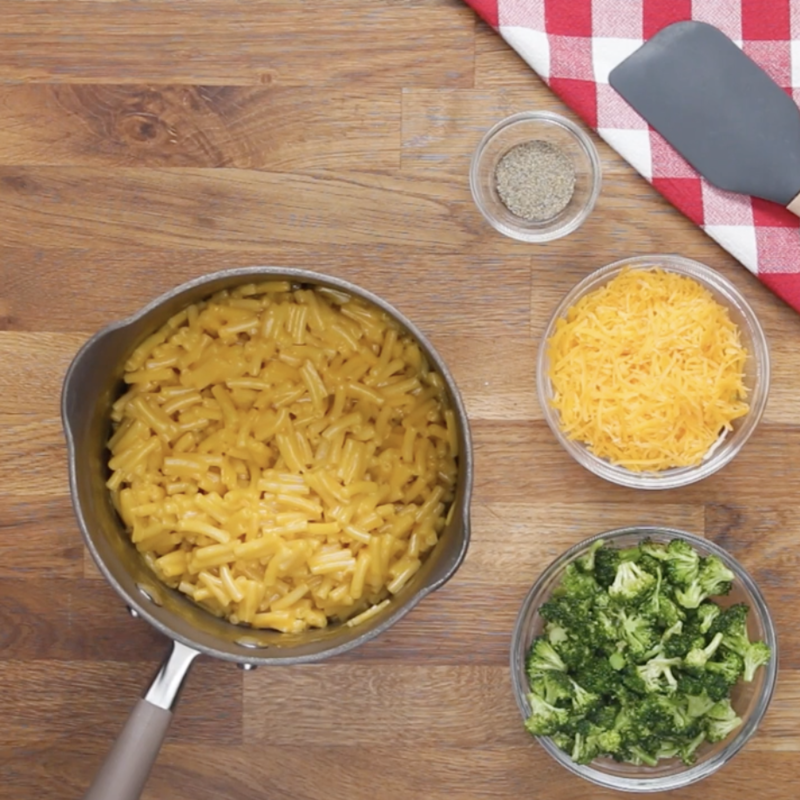 Because there's never a wrong time for mac 'n' cheese, TBH. Here's the recipe. 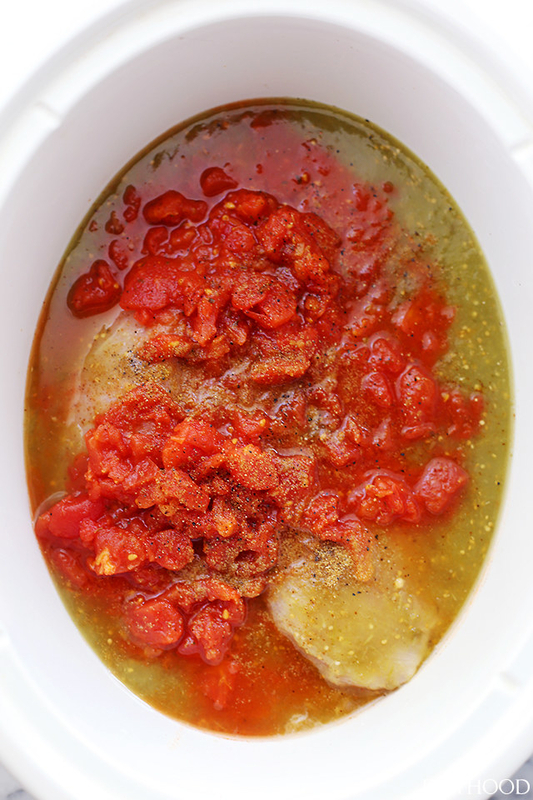 Ingredients: Fish, diced tomatoes, lemon, basil. This version calls for cod or halibut, but it would work with just any about flaky white fish. Here's the recipe. 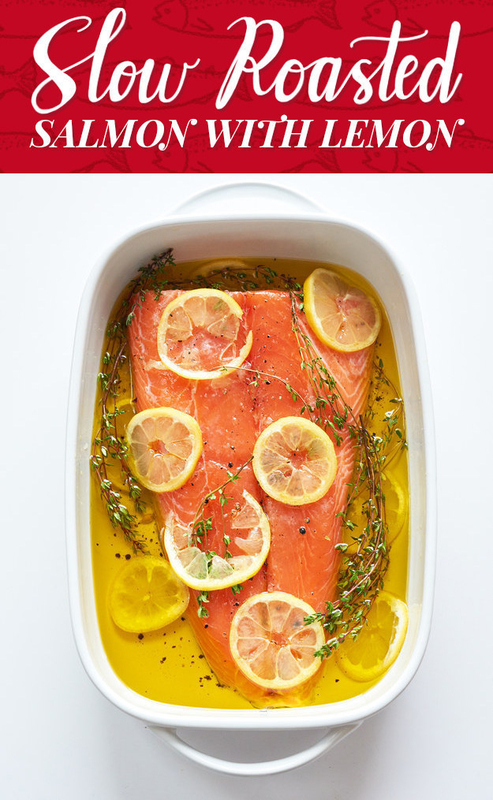 This goes from prep to plate in about 20 minutes flat. Here's the recipe. 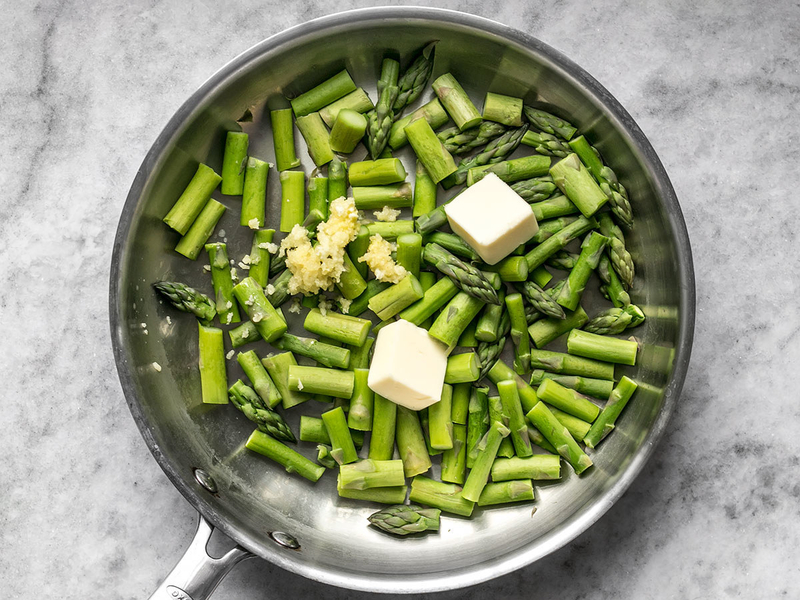 What's your favorite dinner that doesn't require a ton of ingredients? Share in the comments below! And for more, follow the BuzzFeed Community on Facebook and Twitter.